One of our Solar System's most famous moons belongs to Jupiter and it goes by the name of Io. Io became known for being a highly volcanically active moon where molten rock explodes and oozes in a continuous cycle with some plumes reaching dozens of miles above the surface, according to NASA. Scientists also believe there are many more volcanoes out there in our Solar System. But why does Jupiter's moon Io explode so violently seemingly in tune with Earth's current string of eruptions? For starters, the moon's volcanism is the result of strong gravitational encounters between Jupiter and two of its largest moons, Europa and Ganymede. You could look at this like a "gravity competition" between the large bodies surrounding it making Io a fiery battleground. A senior research scientist at NASA's Jet Propulsion Laboratory in Pasadena, California named Rosaly Lopes said of the volcanic moon, "Io has lots of caldera-like features, but they are on the surface," Lopes told Live Science. "There are lots of lava flows and lots of lakes. Lava lakes are pretty rare on Earth. We have half a dozen of them. We think they have occurred in the past on Venus and Mars. But on Io, we actually see lava lakes at the present time." Currently, Earth's own Kilauea volcano in Hawaii is also dotted with lava lakes. Scientists sought out Lopes' help to identify Io's newly found hotspot and help understand what is happening. Jupiter and Earth aren't the only two planets with volcanoes, Venus and Mars also appear to have active lava flows on its surface. Temperatures on the planet Venus can exceed 800 degrees Fahrenheit. In the 1970's-1980's the Soviets managed to land a few craft there but they didn't last very long in the intense heat. 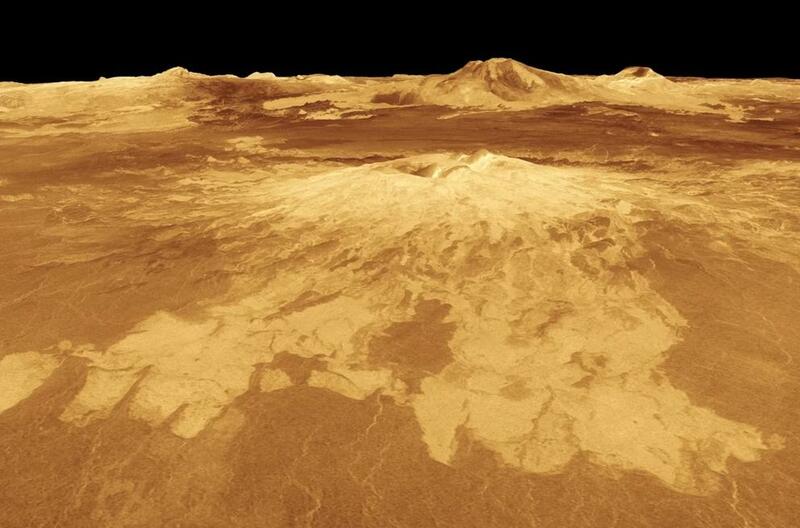 Venus also features dome volcanoes, or volcanoes with many peaks, which are formed from eruptions of viscous lava with only a small percentage of gas that oozes out. "Volcanologists call it two-faced lava because it hides itself and oozes out," Lopes said. Mount St. Helens in Washington state is an example of a dome volcano. There is even evidence of active icy volcanoes which shoot out some combination of water mixed with nitrogen or methane on Jupiter's moon Europa and Saturn's moon Enceladus. Saturn's moon Titan and Neptune's largest moon Pluto (formerly the planet) may have also had ice volcanoes in the past, according to Lopes' research. It seems volcanoes in some form or another are nearly as common as planets and moons themselves, and most of the volcanoes we know of are currently active. Sorry, I woke up on the wrong side of tarterus this eon.